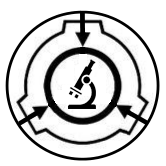 THE PURPOSE OF THIS PROJECT IS TO TRANSLATE SCP-049's JOURNALS. BY JOINING PROJECT DECRYPT YOU MUST STILL ABIDE BY THE TESTING REQUIREMENTS. To look deeper into the relationship between SCP 035 and SCP 049 as well as to determine if SCP 035's acid has any relation to SCP 049's black substance used in his surgery, also to help translate SCP 049's journals. It is theorized that SCP 035's acid is at least partially involved with SCP 035's surgery as noted as his "Black Substance". It is also theorized that perhaps SCP 035 and SCP 049 have some history together or a previously unknown telepathic connection. Finally it is theorized that the writing that will occur in SCP 035's CC is the same language as SCP 049's journals. First and foremost Dr. Izcrizky Dr. Checks and the aforementioned SID would conduct a standard SCP 035 cleaning though with some of the left over acid they stored it inside of a glass vial alongside a vial of black water and SCP 049's Black Substance (From here on out referred to as medicine) The SCP 035 part of the testing was not very extensive and truly was not as important as the SCP 049 part of the testing. The SCP 049 portion of the test began with Dr. Izcrizky introducing SCP 049 to the three vials and near immediately SCP 049 pointed to their own saying "I can always recognize my medicine, my invention" which was later clarified to be because they take ingredients from wherever they get them and mixes it to make their medicine. Next SCP 049 correctly identifies the acid though they could not identify the source. When told it was from SCP 035 SCP 049 asked what the effects were, for the purpose of testing Dr. Izcrizky told them the effects and is currently letting SCP 049 analyze 5ml of SCP 035's acid for future research. Finally for the meat of this test, SCP 049 agreed after some persuading to let Dr. Izcrizky examine his "private collection" of notes which are stored "wherever it fits" inside of his skin. First when asked where they received the notebook SCP 049 said they bought it from a "merchant" where they came from, where their native language is from. It is now confirmed SCP 049 came from...somewhere else though they aren't sure if there are more like them there or where there is as they have forgotten. Before talking about their journals they mention that The Pestilence is an anomaly, one that cannot be contained without help. Perhaps looking more into The Pestilence rather than SCP 049 is in order. It is also confirmed that The Pestilence did not come from their native land, "The Pestilence is everywhere, I cannot chase it I simply came here to expand my knowledge." SCP 049's journal was well kept and had a very neat penmanship to it, inside the writing was confusing, hard to understand, almost as if the language was meant to be that way, or perhaps Dr. Izcrizky is not a good linguist. The language in it most seemingly has a French feel to it the words within seem to be rooted in French or French was possibly rooted in it, or who's to say SCP 049 is not from an alternate reality of France. Either way currently as expected it is unreadable. The testing with both subjects went...considerably well, there was minimal losses at SCP 035 and none at SCP 049, the hypothesis was proven wrong however, this just means a great discovery was made. SCP 035 and SCP 049 have no apparent telepathic communication and are perhaps not as linked as previously thought however the writing still proves to be similar, further investigation is required. It was observed that SCP 049 is willing to share their discoveries willingly however one must act almost submissive when doing such. It is also observed that SCP 049 seems quite interested in testing on SCP 035's acid once again it was ensured that the amount given was small enough to pose no security risks. It is noted the passage below is TO NOT BE DISCUSSED publicly as the reaction SCP 049 will have if this gets out is unpredictable and may terminate any chance of success. Below is a direct passage from SCP 049's journal in the native tongue and an English translation. DO NOT LET THIS SPREAD. It is analyzed that SCP 049 will certainly be able to help us in the translation of his notes however it will be a tricky path to go down as to not let them think we are stealing their secrets as if that happens results are unpredictable. It is advised to not try to take the journals outside of their CC as results may vary. Please, use SCP 049 to help us in this translation, do not go against them in this. Gains: Knowledge on the connection between SCP 035 and SCP 049, access to SCP 049's Journals. Improves: Less containment breaches (if possible), tighter security in the foundation during a cross keter test. -SCP 049 came to this reality to "Expand his knowledge"
I arrive to SCP-662 CC and ring SCP-662. SCP-662-1 and I commence the interview. Dr. Coiro : I need to ask you a few questions. Dr. Coiro : What languages can you read? SCP-662-1 (manky) : All of them. Dr. Coiro : Okay, so if I asked you to read SCP-049s journals, would you be able to? SCP-662-1 (manky) : I don't know, possibly. SCP-662-1 (manky) : What language is it. Dr. Coiro : I don't know. I am able to give you a piece of text however. * Dr. Coiro takes out a piece of paper and hands it to him. SCP-662-1 (manky) : It says Chapter 17: Human Anatomy and reaction to medicine. Dr. Coiro : Good, good. Hand me the paper back please. Dr. Coiro : I may need you again for further translation. For now, you are dismissed. Oh and do not speak about this to anyone. SCP-662-1 (manky) : Ofcourse, ma'am. SCP-662-1 is able to read and translate any language, which includes SCP-049s journal as shown in the audio log. SCP-662-1 was able to translate a piece of SCP-049s text. We can definitely use SCP-662-1 to translate SCP-049s journal. For interaction with SCP-662-1 and SCP-049, there will be minimal risk as this will be with a safe and euclid SCP. What's your plan with the 662/049 cross-test? So 662-1 can read the journals and translate for us. Unless it is okay to remove the journals from the containment chamber and bring them over to SCP-662s CC. //Yikes, then this test will be voided because it could be misleading Get an RP Mod then do it, though you could probably ask one if this is valid. //I'll have an RP mod check it out. //Apologies for the inconvienience but this test has heavy implications in server lore as the journals are directly mentioned on the official wiki and how this plays out needs to be modded, thank you for your time to work on this project with me but I want every test on it to be modded to certify credibility. No the journals are not an IC just yet, I have future plans for that however. Try again with an RP mod, see the results you get, and dig deeper. My suspicions are that 662 will not be able to read them as SCP 049's native tongue is from an alternate reality or anomalous universe. However, don't let that discourage you if that is the case, difficulty proves capability. // Did the original 049 have a journal or was it just the rewrite 049? //Every Project related Test needs to be RP Modded, ‘‘twas just a misunderstanding. //Both did however I focus on the pre rewrite that is still on the official wiki, I think the rewrite is simply less imaginative and interesting and until it is on the official wiki I still consider the pre re write to be what is canon. // Just wondering since the re-write is non-canon to the server. Why are you conducting this test? I am conducting this test in order to deepen our understanding of SCP 049 and his journals as well as to contribute to Project Decrypt. I think we will delve deeper into SCP 049's journals due to the fact we will be sating his appetite for knowledge by providing him with D class to cure as well as because we shall be flattering him with compliments in order to make him more cooperative. What steps are you taking to do this test? First we shall give him three D class to cure as a way to make him happy and cooperative, we will watch for any irregularities in the procedure in each one and shortly after offer him the next making sure to only send in one D class at a time. This part of the test as mentioned before is mainly just to make SCP 049 happy and cooperative though it will pose little to no help in the end results of project Decrypt. After this process is completed SCP 049 will be asked about the specimen of acid provided to him in Project Decrypt test one in order to get him talking and open with us before delving into the journals under his possession. This is once more used to gradually step up to getting SCP 049 to release information about his journals as well as possibly learn more about SCP 035. In theory SCP 049 probably didn't learn much we didn't already know or perhaps he cracked something we couldn't. Finally Dr. Izcrizky will delve into asking SCP 049 about his journals, asking him to translate more for us to study as well as ask questions about linguistics or even the history of his language, where does it have it's roots, is it from an alternate reality as we expected, how has he maintained knowledge of it for so long, do any people in this reality speak it? Questions such as this should shine some light on the seemingly uncrackable language. If at any point scp 049 seems uncooperative we shall play into his ego as to make him lower his guard and reveal more information to us. As a bonus at the end we may ask more questions about The Pestilence. SCP 049: Now what do you care to talk about todsay good doctor? Doctor Izcrizky: I'd like to ask you if you made any discoveries with the SCP 035 acid I had left you with. SCP049: What did you want to know about it? Doctor: Did the ingredients come from the acid? Doctor: Very well, starting with the journals, how have you maintained knowledge of your language for so long? SCP: Well you see good doctor, I've journeyed quite far and of course I must write what I see, I maintain by writing down what I see over and over. Doctor: Very good, I suppose that would help, what are it's roots if none on this planet, what is it most similar to. SCP: Mainly, well what's the place that you call it. I'm not too sure, I don't remember, I'm sorry for the inconvenience. Doctor: Do you mind if I show you some sample languages to spark your memory? SCP: Please do, I do not mind at all. Doctor: Yes, very interesting, Sanskrit is the oldest language on the planet, this may prove troublesome. *A sheet of paper is heard sliding across the table written in Sanskrit* Can you read this? SCP: Yes, it is somewhat familiar, it says the end is never the end if I am not mistaken. SCP: Yes I am quite certain "The beginning is merely the end of the end" If I am not wrong. SCP: Ughm let's see here, long live the emperor...yes I believe so. Doctor: That was spanish. *The papers are collected* Moving on from that, would it be safe to assume yo've never heard your language on this world? SCP: Hmmm, I can't say that I have, it may be similar to some but I am not certain, I am sorry. Doctor: That is quite all right, last meeting you said there were other like you, is it safe to assume you come from an alternate reality? SCP: No of course not, that would be simply absurd. I have always been here. Doctor: Do you remember who created this language, did only doctors speak it? SCP: Ughm, the one that I speak? I am not too sure, apologies. Doctor: Quite understandable, is it possible you remember some Grammar rules? SCP: Grammar rules....hmmm, if I am not wrong Feminine words use an O while masucline words use an, A, E I, I cannot remember too clearly but I am pretty sure that is how it went. Doctor: Do you remember where the letters went in the word? SCP: Ughhh, always at the end except if the noun was plural...yes, yes. Doctor: And what do you do if it is plural? SCP: If it is plural you must add an additional vowel to the word. Doctor: Does everything have a gender? SCP: Adjectives and pronouns can be neutral, if i'm not wrong but all nouns must have gender. Doctor: This meeting must be cut short, when I see you next may you please have a paper written for me on as many grammar rules as you can remember? SCP: Certainly, good day sir. It is concluded that SCP 049 may be able to teach us his language with adept to mediocre skill however it should be enough in the end for us to reasonably. It is also concluded that SCP 049 speaks multiple languages, mostly the oldest ones such as Latin and Sanskrit. Was your hypothesis supported or rejected? Why? My hypothesis was correct due to the fact that SCP 049 was more willing to cooperate after providing him with D class and feeding his ego. Do you have anything unrelated to the test to say? SCP 035 had breached during the test and the test was terminated prematurely. The Third test will be conducted soon. I would like permission to place a piece of SCP-049s journal in to SCP-914 on setting 'Fine' and 'Very fine'. It's possible that SCP-914 could transform the text into an understandable language or decryptable text. It's worth a try either way.